Easterday Construction Co., Inc. has been working with Garden Court since 1998 when we began construction on the Argos Garden Court project in Argos, Indiana. 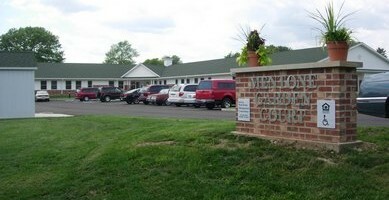 Garden Court is a not for profit organization located in Plymouth, Indiana. They are dedicated to establishing affordable housing for the elderly in Plymouth and surrounding communities in northern Indiana. They provide these services through HUD grants, establishing 501(c)3 corporations for each individual project location. Reverend Ronald Liechty is President of Garden Court and Mr. Dean Byers serves as Vice President. They work with a dedicated board of other volunteers to shepherd communities through their in-kind support as they establish new projects throughout their service area. Garden Court contracts management of their facilities to Real Estate Management Corporation in South Bend, IN. B.A. Martin Architects, P.C. has been the architectural design firm for all of the Garden Court projects constructed by Easterday Construction Co., Inc. They also designed several previous projects before we became involved. Our working relationship has been a good one and we have collaborated with them for many years on many projects beyond these with Garden Court. Culver Garden Court, Inc. is the 7th Garden Court constructed by Easterday Construction Co., Inc. We worked with Garden Court for over 7 years to find a suitable site for a project in Culver before coming to an agreement with a property owner on the south side of town. What resulted is a 13 unit facility located at 801 South Main Street in Culver completed in 2012. LaPaz Garden Court, located at 110 Cale Street, is the 6th Garden Court project completed by Easterday Construction. It opened to residents in the Fall of 2010. It is a 14 unit facilty. Easterday Construction Co., Inc. has completed several renovation and remediation projects at Garden Court West. This facility is one of Garden Court’s earlier projects from before we became involved with the organization. There were apparently issues with poor soils as settling was found under some of the slabs. We stabilized these slabs and remodeled the affected rooms to bring them back up to Garden Court’s standards. 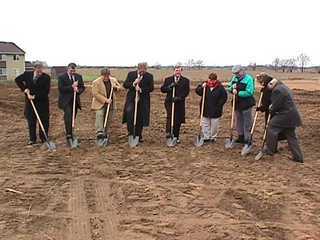 Easterday Construction Co., Inc. completed construction of the Fairfield Garden Court in Plymouth, Indiana in 2007. It is a 25 unit facility located at 2200 Hillcrest Avenue on the west side of Plymouth.